van der Poel preferred not to race the P-R, he´ll race in the Flanders classic and the Amstel Gold Race and the Paris-Roubaix in addition to that, would be too much. Corendon doesn’t have a large squad of riders capable of much in the P-R. I think they gladly passed the opportunity to another team. 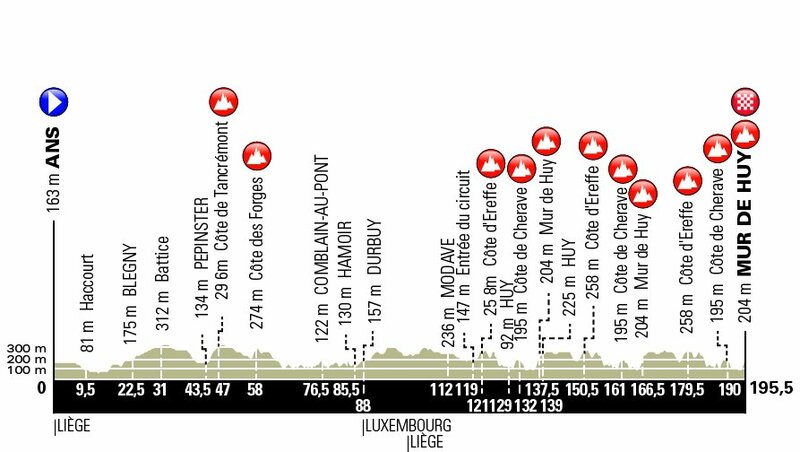 While the wildcard picks for LBL are rather conservative - only French and Belgian teams, ASO has always been a bit more experimental at the Flèche. , & get a chance to show what they are and could be added to the list of possible future ASO Grand Tour invitees. No PCT invites. Will any bother going to Australia if only one race (Herald Sun) is on the table? None bothered this year. Only twelve teams on the start list (thirteen if you count Team Jolidon) for the Herald Sun. Only twelve teams on the start list (thirteen if you count Team Jolidon) for the Herald Sun. It probably means that Direct Energie expects to miss out on a Dauphine invitation, I guess. TuttoBici are bemoaning the presence of the Swiss National team. The discussion on the actual usefulness of a wildcard granted to the Swiss national selection remains open : in a WorldTour competition, which will also see runners who will refine the preparation for the Tour de France and which has always been considered quite tough given the track full of climbs . The risk of getting rid of the boys who are not yet ready to face such a commitment is really very high . Plus, it takes away from the Professional lineups, more and more hanging from the thin line of wildcards to continue their competitive adventure, a very important chance. I'm okay with them being there, but I do think WT races in general should be looking to use up more of their wildcard slots. Money is probably the reason they don't. I don't agree with TuttoBici. 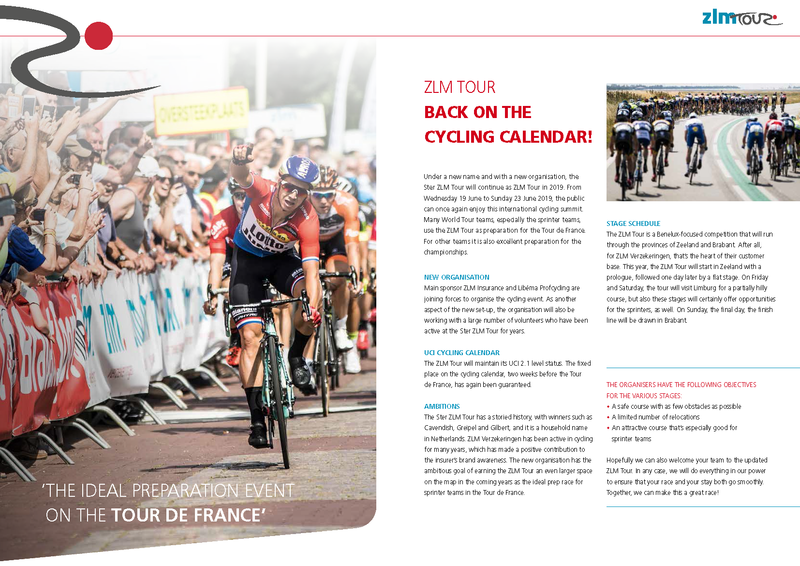 There are really only five countries that have enough riders in pro teams to give them all a chance at riding the national WT races: France, Italy, Spain, Belgium, and the Netherlands. The 'big five', if you will. For a long time, only certain WT races (deemed to be in 'developing' countries, cycling-wise) could invite their national team - and the Tour de Suisse wasn't one of them. That rule has been changed now, and for the better: There are several Swiss riders who are good enough for a WT race but who (for various reasons) didn't get a pro contract. Inviting a national team gives them the chance to show themselves. As search says, competitiveness will not be an issue at all. Yes, this is an issue of sorts. There are several WT races that hand out only a few wildcards, and I don't think it's always due to lack of interest. Money is definitely the reason behind. At stage races, the organiser has to cover team accommodation. Inviting only 2-3 extra teams instead of seven saves real money: Every PCT is entitled to a participation allowance of 3500 € on top of the accommodation for 7 riders + 7 staff. Every extra team costs a nine-day race such as the Tour de Suisse an estimated 10 000 € at least (and that's a low calculation). By only inviting three wildcard teams, they save 40 000 to 50 000 €. The Tour of Sicily returns from the dead, at the start of April. Final stage finishes on Mont Faron. ICA can take a team of sprinters to MSR and just see who can get over the lumps at the end the best. Checking back, they have only twelve men's teams on the HST website by now, with Team Jolidon (apparently called Essen-CBT this year and with a Syrian (!) license) de-listed. 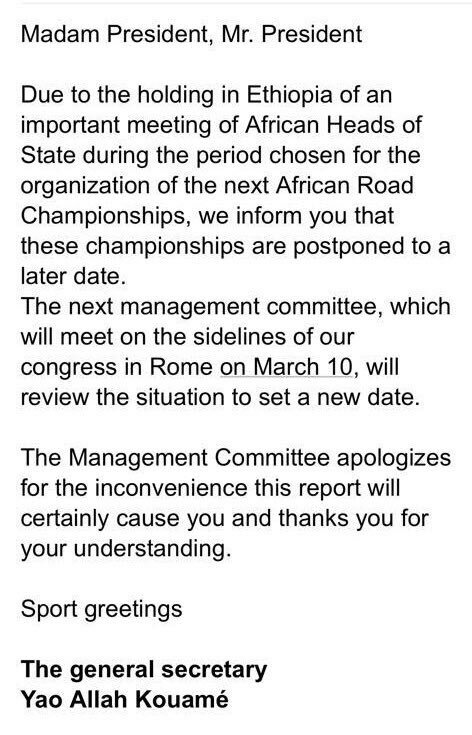 The African road champs, scheduled for 13-19 February, are postponed to an undefined date due to an 'important meeting of African heads of state during the period' in Ethiopia. New date may (or may not) be set in early March. "This is Africa" comes to mind.